Dedicated to helping brands outsmart & outperform the competition. I’m ready to help inspire you with performance solutions you never knew you needed and can’t imagine living without. Customer service is a battle ground. We'll work together to captivate consumer interest authentically. Beginning with strategic planning & consumer insight, we'll work together to amplify your story authentically. Embracing individuality can be tough. Especially to an ever growing audience. Let's inspire each other. I'm ambitious enough to question the status quo. I see marketing & design as an art, one that pushes barriers and connects consumers. I find the best way to energize brands is by telling compelling stories & providing more than ideas but inspiration. I enjoy rolling up my sleeves & making something out of nothing. One who doesn't believe in creating or designing without purpose. I thoroughly enjoy the nitty gritty of design, while pushing barriers & channeling a brands character. & collaborate well with others. I'm a results-driven professional. I captivate personality into everything I do which energizes the customer experience. I search for the truth & dig deeper to find & identify consumer behaviors that others often overlook. From visual display & merchandising, to graphic design & illustration come to life, I can imagine, develop & follow through on almost anything creative. real, cost-effective results. I enforce strategic cost management methods, one of which is to cut spending by 95%; ensuring and utilizing available talent to complete all creative services in-house while ensuring the continuation & endorsements of services. I implement efficient business practices that utilize available resources & establish a new work approach to save time by 95% to meet deadlines & submissions. That's the only way to shun the status quo. By rolling up your sleeves to be authentic & fearless. despite local competition and declining marketing. ☑ Increased website traffic by 10,000+ in new total visits from Jan.2014 – Dec.2014. Fox Sports to air featured TV segment that would drive brand preference and increase exposure. ☑ Reduced advertising and printing costs 50% YOY. Golf Life visits the land of enchantment by heading to New Mexico to check out the Marty Sanchez Links de Santa Fe. 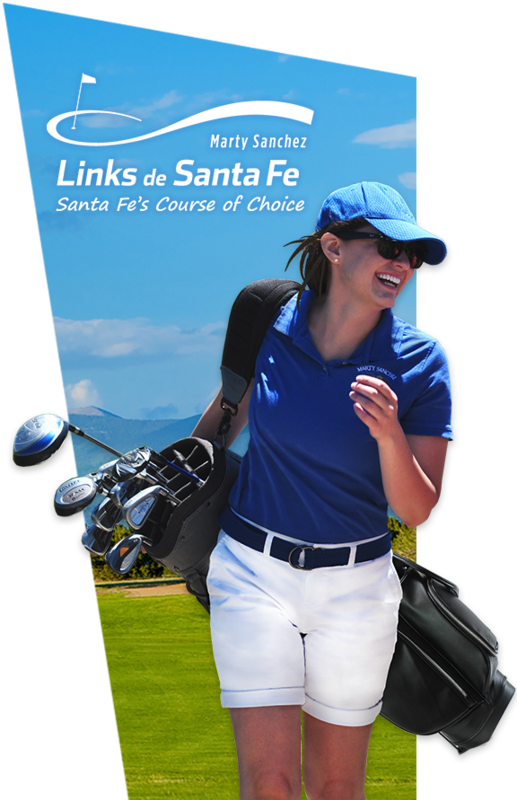 Known as the City of Santa Fe's finest municipal golf course since 1998, Marty Sanchez Links de Santa Fe offers a spectacular golf experience with an inspirational 360 degree panoramic views that surround the Sangre de Cristos, Jemez, Ortiz and Sandia mountains. to set your story apart from the competition while reaching the right people with the right message, give me a holler!